Downloading and installing applications or games on to your android is a very easy task. 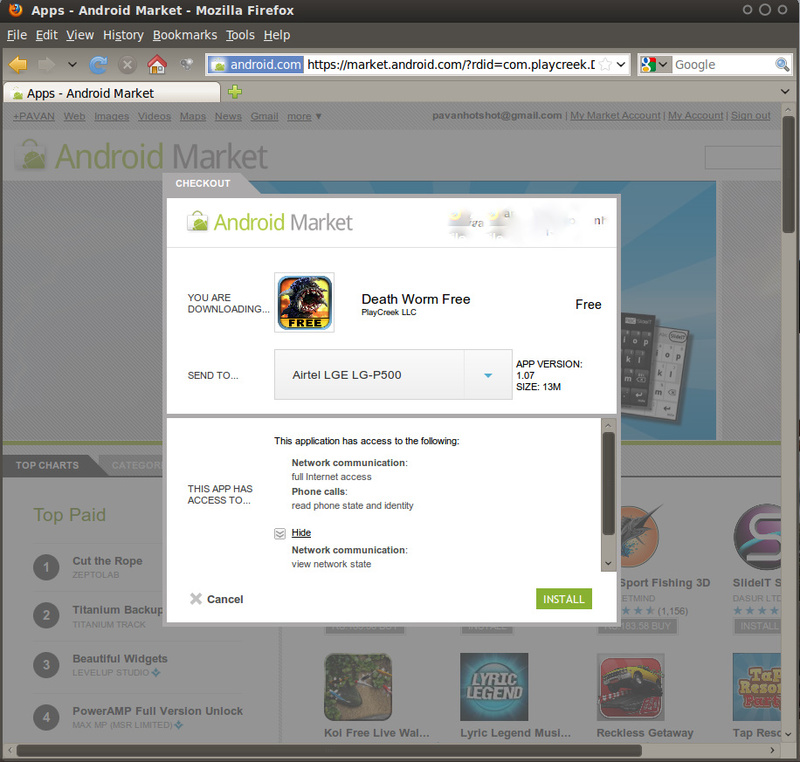 It is recommended that you install applications directly from the android market, which can be found here. There are some free apps while some of them require a payment. Read on to find out how to download android apps. Step 1. Choose the item you want to download and click on the Install button. You will see a pop up like this. Step 2. Click on INSTALL again. Select OK to accept the permissions and your app will be downloaded and installed on to your device. Step 1. Choose the item you want to download and click on the Continue button. You will see a pop up like this. Step 2. You will be asked to sign in to your Google Checkout account if it is the first time you are buying an application on the market. After signing in, Click on the Purchase Now to proceed with the downloading of your paid application. Step 1. 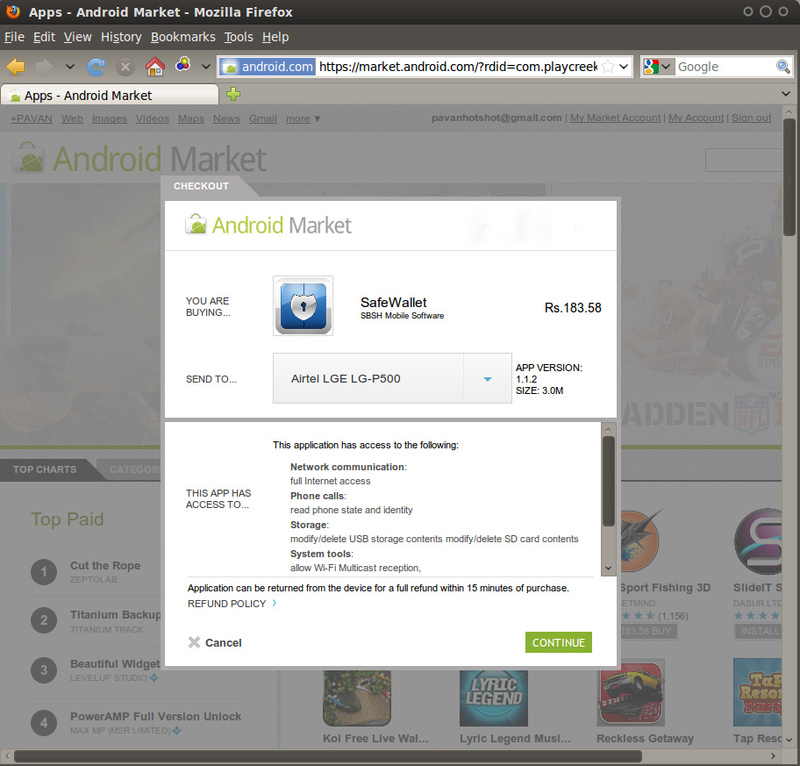 Open the android market application on your android and go to My apps or use the Menu option and then select My apps. Step 2. Touch the application that you want to remove/uninstall. Step 3. You will enter the application’s home screen, Click on the Uninstall icon to remove the desired application. Note: If you want to restore or re-install a paid application that you had removed before, you can return to My apps and do so whenever you want. Hope this article was helpful. Please share your experience.